The County Recorder manages and protects public records including records related to land ownership and records of birth, death and marriage. 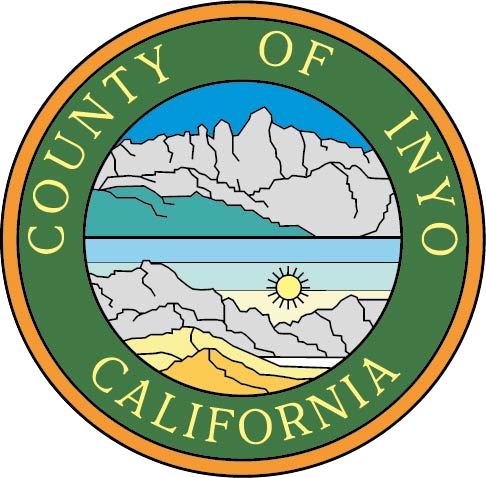 The Inyo County Recorder has maintained copies of all recorded land transaction since the county was formed in 1866. The County Recorder is responsible to preserve this information permanently. Recording land ownership documents is not a legal requirement. However, recording your documents with the Country Recorder creates a permanent record of your homeownership even if your original documents are lost or stolen. There are very specific legal requirements to record documents in the State of California. Generally, any document signed by a person or persons transferring the ownership of land or creating a debt or duty in property can be recorded as long as it is in the proper format. The recorders office cannot give legal advice on how to complete a form but we can assist you with you questions on whether or not a document may be recorded. Effective January 1, 2015, all document required to be acknowledged in the State of California must have the the following specific California acknowledgement form. What is the cost to record a document? Documents that transfer title have additional recording fees and requirements. Any document that transfers title must have a Preliminary Change of Ownership attached or there is an additional $20.00 penalty fee due at the time of recording. In addition, if the property is being transferred for money or other consideration, a transfer tax of $0.55 per every five hundred dollars, or fractional part thereof paid is also due. If you are not sure if a transfer tax is owed, please review the Inyo County Transfer Tax Guideline. Effective January 1, 2018, pursuant to SB2, documents accepted for recording at the Inyo County Recorder's office may be charged an additional $75 tax. A fee of seventy-five dollars($75) shall be paid at the time of recording of every real estate instrument, paper, or notice required or permitted by law to be recorded, except those expressly exempted from payment of recording fees, per each single transaction per parcel of real property. The fee imposed by this section shall not exceed two hundred twenty-five dollars ($225). The County will accept valid declarations of exemption on the face of each document where applicable. Penalty for pages other than 8 1/2" X 11". This fee is applied to every page in the entire document, even if only page is the incorrect size. Fee for indexing additional mining claim names (does not include the first mining claim name). Mining claims that are grouped together, i.e.. Gold claim #1, Gold claim #2, & Gold claim #3 are indexed as one item "Gold Claim 1-3" and are not charged the additional indexing fee. Fee to send a notice of an involuntary lien. This fee applies to each debtor address noticed. Exemption for documents that are subject to Documentary Transfer Tax. Exemption for documents recorded “in connection with” a transfer of real property that is subject to Documentary Transfer Tax. Exemption for transfers of residential dwelling to an owner-occupier. An Exemption Form is not required but, if submitted with your document, it could expedite your recording. For a complete list of recording fees please view our fee schedule. How do I find or request a copy of a document? You may search the online index of recorded documents from 1982-current for no cost. To request copies of documents contact our office. How do I find a copy of a Recorded Map? You can view Recorded Maps using Assessor's Parcel Numbers for no cost. How can I find out where a plot of land is located? You may search our GIS database using an address or Assessor's parcel number. How do I order a copy of a Birth Certificate? How do I order a copy of a Death Certificate? How do I order a copy of a Marriage Certificate? This is the official website of the Inyo County Clerk-Recorders office.